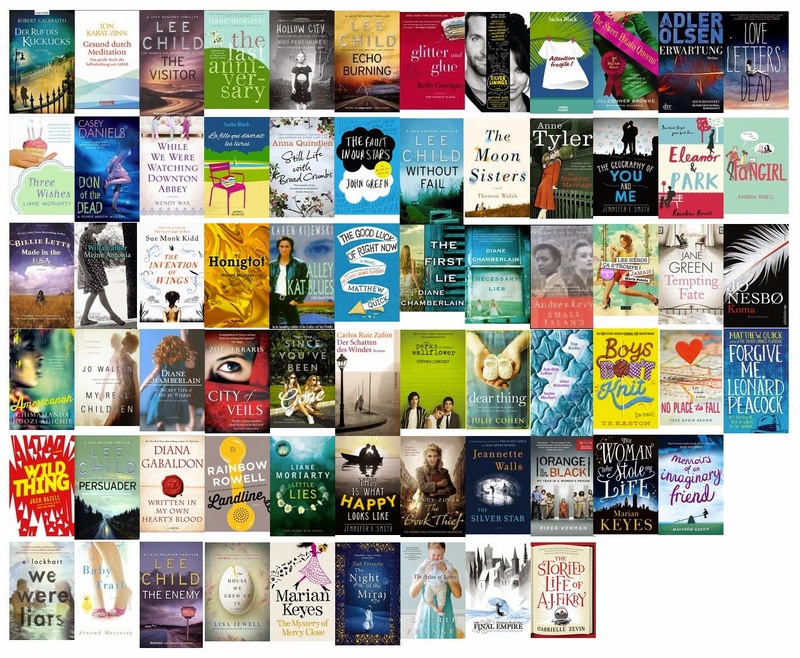 These are the books I read in 2014. This is an amazing list of books. Reminds me I need to get back to reading as it is one of my favorite things to do. I will be taking note of the books you liked and adding them to my "to read" list. Thank you! I've always liked reading, since I was a little kid. This year started with lots of books and then when I started knitting I didn't have as much time anymore. Now towards the end of the year I felt like books again. Wow, that's a lot of reading! The only one I've read is My Antonia, when I was a girl. My reading slowed down for several years to mostly Bible studies and how to books, with just a bit of fiction thrown in. I think it was due to all of the knitting. But, since learning to read while knitting, it's taken off again. I've also been enjoying some fantasy series, which I never used to read much of. I find reading while knitting the most satisfying thing. Happy New Year, Corinne! I've always been an intense reader. I used to love nothing as much as getting lost in books as a kid. These days I read slowly until I stumble on one of these books where I just can't stop. Happy New Year to you too, I've enjoyed "getting to know you" through your posts very much!